Peter Dirk Siemsen has had a career in intellectual property spanning more than 60 years. Having been admitted to the Brazilian Bar in 1955, Siemsen has developed an impressive IP practice at Danneman, Siemsen Advogados, and is a highly influential figure helping to shape IP law and practice not only in Brazil, but across Latin America. 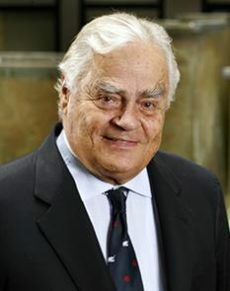 He is founder and president of honour of the Brazilian Intellectual Property Association, vice chair of the standing committee on copyright and industrial property of the Institute of Brazilian Attorneys, and a recipient of the International Trademark Association’s President’s Award.